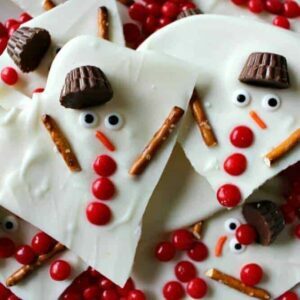 A few weeks ago I shared a new favorite holiday dessert, my Melted Snowman Bark. Since then, I have been kind of hooked on making different types of bark. 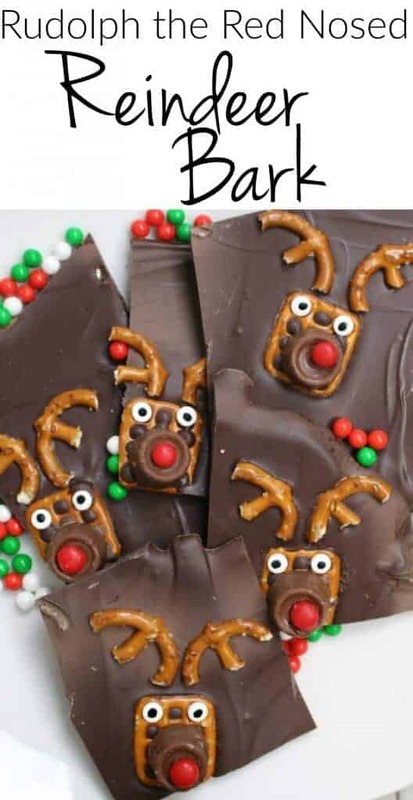 So over the Thanksgiving holiday, my sister, Julie and I decided to try something new – Rudolph the Red Nosed Reindeer Bark! Rudolph is one of my very favorite holiday characters – so this was super fun for me! 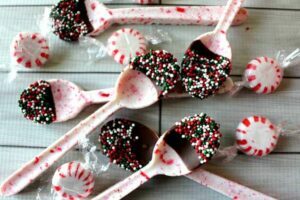 Chocolate Bark is a great treat – I have made a few different version, but a few that I particularly love are the Peppermint Oreo Chocolate Bark and the super popular Unicorn Poop Bark. If you haven’t already done so, be sure to check them out. If you want to really shake things up – try adding popcorn to the mix for a super duper sweet and salty treat with this Peppermint Oreo Popcorn Bark – it is crazy delicious! 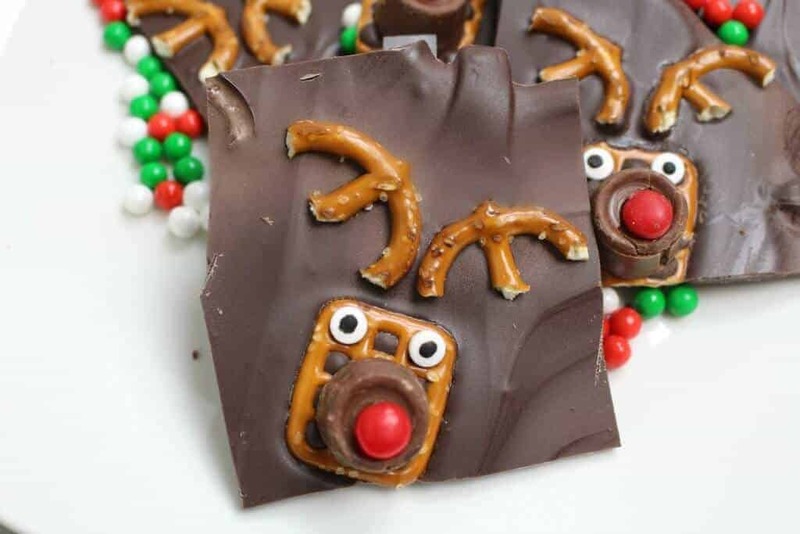 So back to Rudolph – this bark recipe is a great one to do with the kids! 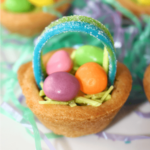 They will love making it, but will love eating it up even more! 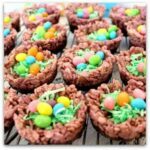 For the Rolo, I dipped the bottom into the chocolate first and then set it on top of the pretzel, to help it “stick” better!